Rally Armor's premium Mazda 3 and Speed 3 urethane UR ("you are") mud flap application is fabricated from premium urethane. 2004-2009 Mazda 3 and Speed 3 owners can experience the outstanding protection against rain, snow, mud, dirt and road debris of Rally Armor UR rally mud flaps. These urethane mud flaps are consistently flexible despite varying temperature and road conditions. 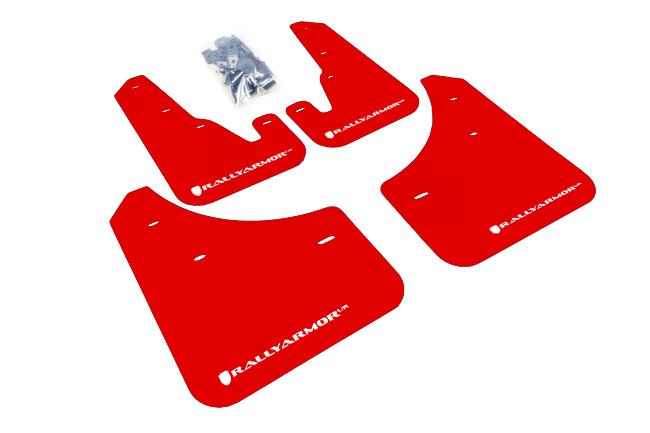 Rally Armor polyurethane rally flaps endure the elements season after season while finishing the vehicle with a rally look. Fitment Note: Fits 2004-2009 Mazda 3 and Speed 3 sedan and 5-door.